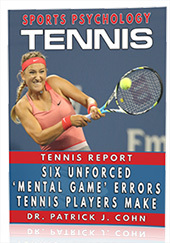 How your tennis mind can be your best or worst asset on the court. If you are using your tennis mindset effectively between points. How frustration and dwelling are you worst enemy. Learn the important mental game of tennis skills you need to master to boost your confidence and performance!